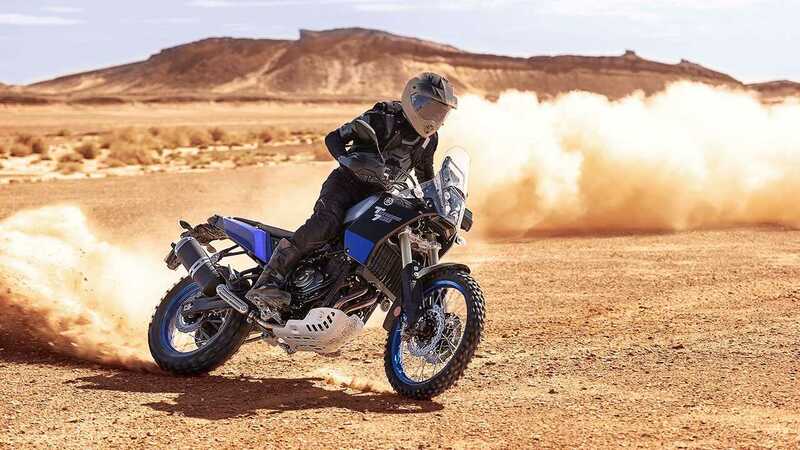 The modern adventure bike is essentially a direct reflection of the public wanting touring bikes to be able to handle occasional jaunts into the rough. 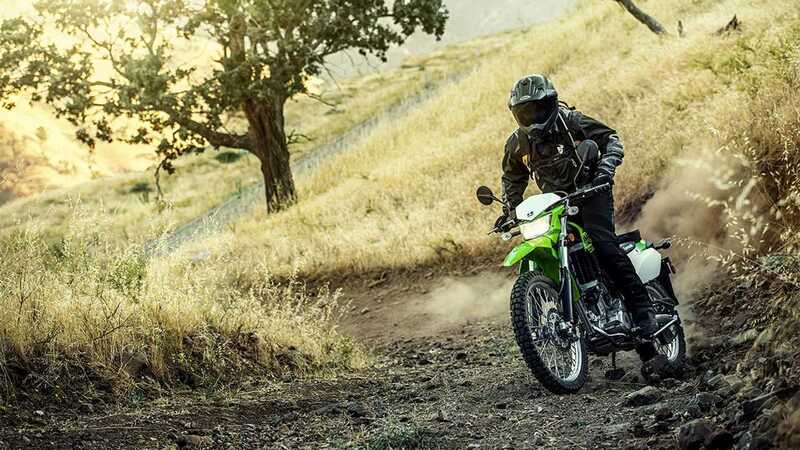 While enduros are oriented for long-range off-roading with durable parts and serious knobbies, adventure bikes have slicker tires, smoother suspensions, and more power that make for a more comfortable ride on paved roads. More so, they're street bikes that can handle dirt and gravel. Just don't expect to be climbing any mountains on these things. The idea behind a dual-sport motorcycle lies right within the name. It's intended to be able to serve two purposes, one being daily street-legal driving, the other being the ability to escape the neat, well-traveled paths and get into the dirty, dusty, uneven places that require more capability. They have higher ride heights for clearance over obstacles, they have a lot of suspension travel, and they're typically fitted with single-cylinder engines. 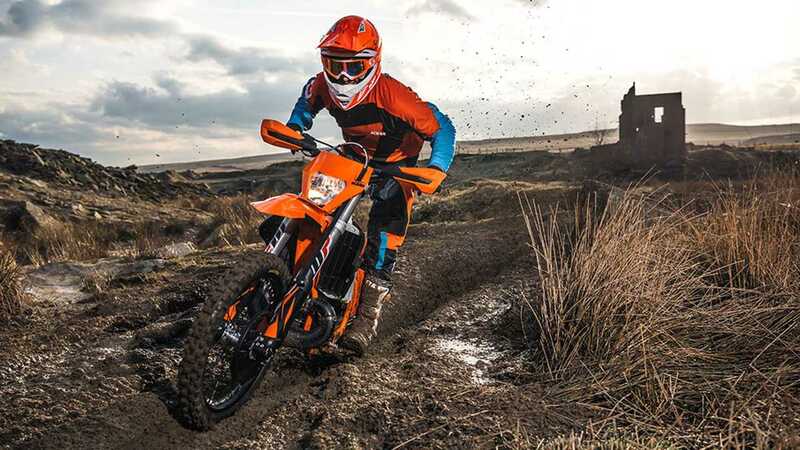 Enduro bikes and dual-sports are in the same bloodline, with enduros primarily intended for long-distance off-road riding. These motocross-spirited motorcycles are more trail-inclined and have bigger gas tanks, beefier parts, as well as a few extra pieces to protect the bike from wear and tear. If you're looking to spend more time crawling through rocks, weaving through forests and skipping across sand, enduros are likely your cup of tea. Back in the 60s, scramblers were actually standard bikes modified by the owner to improve their capability off the roads. In recent years, scramblers have made a comeback and have played an important part in the neo-vintage revival fad that's taken a hold of the market. While some of the models offered might be talking the talk, but not walking the walk, others like the Ducati Scrambler or the Triumph Scrambler 1200 have been fitted with all the necessary features to actually offer some decent off-roading chops. 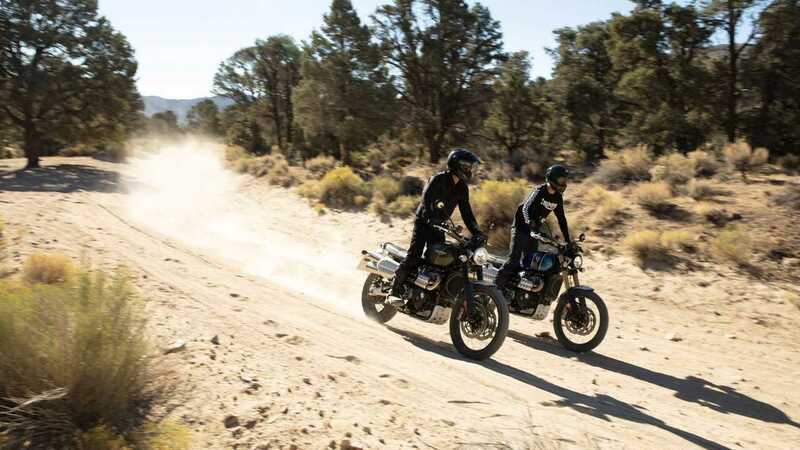 Modern-day scramblers are recognizable thanks to their standard retro silhouette fitted with a flat saddle, a braced handlebar, knobby tires, dual rear shocks, and high-mounted exhaust pipes. 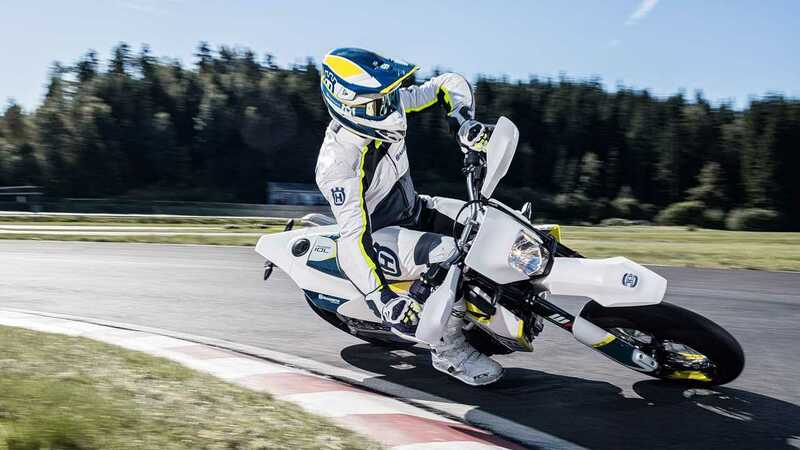 Just by looking at the profile of a supermoto, you'll notice the differences, with the biggest being the wheels. Supermotos lean more toward street performance and thus have smaller wheels and thicker, wider tires to handle tighter turns and more speed. They also have different gearing to get up to speed and bigger brakes for stopping power. 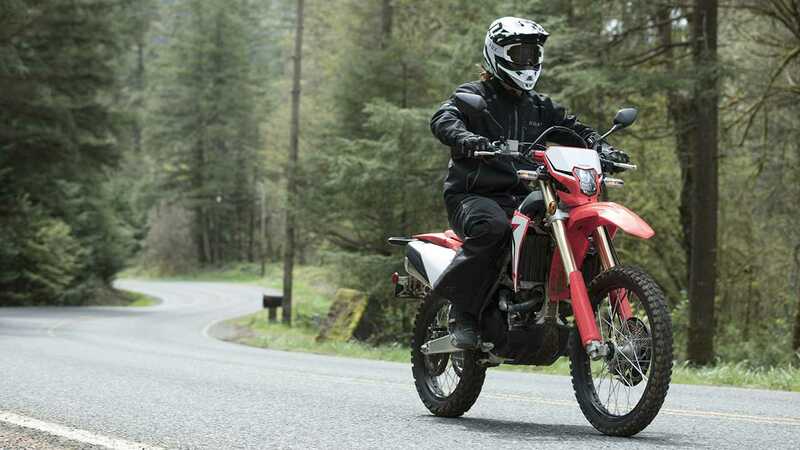 They maintain the more upright seating position of a dual sport, but the suspension is usually stiffened up a bit. It's not typical for supermotos to have twin-cylinder engines, but it's an available option with bikes like the Ducati Hypermotard and the KTM 950. These slick-looking bikes are like little love children of motocross and road racing. For every type of surface on this planet, there is a combination of wheels, metal, and engine that can tackle it. At the skeletal level, the terrain you'll be covering comes down to two types: road and off-road. Choosing a motorcycle to buy, however, isn't so simple. WE LOVE PLAYING IN THE DIRT! For those who want both the pleasure of riding around town and that of getting out into the country, there's a sector of bikes that mesh the motorcycles' worlds into one. And within that sector, there are even smaller subsets. Allow us to untangle the mess of labels that include dual sports, enduros, supermotos, adventure bikes, and scramblers. 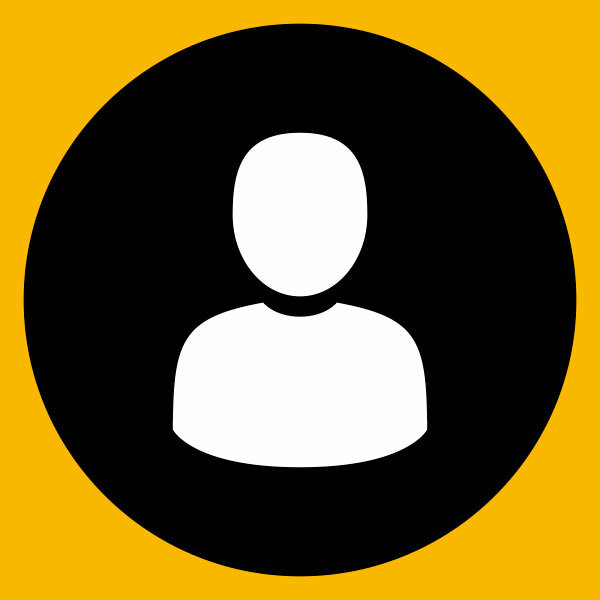 Let us help you decide which is best for the style of riding you desire.